The Boxing Truth®: Can Witherspoon Continue Winning Streak? A common storyline that is known to anyone who follows the sport of Boxing is one of a fighter attempting to climb the ranks and work their way into world championship contention. 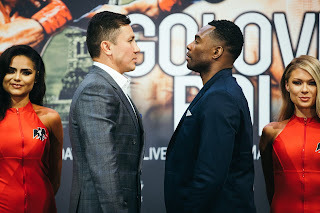 From prospects, to contenders, and fighters who were at one point considered a contender, but are attempting to work their way back into the mix it is a storyline that just about any Boxing fan can relate to. One division where questions regarding who are the next potential contenders is a consistent topic of discussion is the Heavyweight division. A division that has been ruled for much of the last decade by the Klitschko brothers. Although Vitali Klitschko is no longer active as a fighter, the Klitschko dominance remains atop the division as unified IBF/WBO/WBA/IBO Heavyweight world champion Wladimir Klitschko has continued his reign. As Klitschko has continued to defeat challengers to his unified world championship, questions regarding who may be in line to eventually challenge him are asked. Although a lot of the focus in regard to who is a contender in the division centers around fighters who are currently rated in the top ten of the sport’s respective sanctioning organizations, a story that should be focused on from time to time is of a fighter attempting to work his way back into contention. One such fighter is Heavyweight Chazz Witherspoon. Witherspoon (33-3, with 25 Knockouts) has been a contender in the Heavyweight division for several years since turning pro in December 2004. Although Witherspoon has put together a fine career in winning thirty-three of his thirty-six professional fights, an argument can be made that he has failed against fighters who most would consider top contenders, most notably against former world title challengers Chris Arreola, who defeated Witherspoon in June 2008 and Tony Thompson, who scored his own victory over Witherspoon in December 2009. Witherspoon was able to rebound from each of those losses winning three bouts after his loss to Arreola between November 2008 and August 2009 in which he scored three knockout victories over contenders Adam Richards, Travis Fulton, and Willie Perryman. Following his loss to Tony Thompson Witherspoon won four fights over the likes of Livin Castillo, Alexis Mejias, Ty Cobb, and David Saulsberry between August 2010 and February 2012. This led to Witherspoon’s fight against Heavyweight contender Seth Mitchell in April 2012. Mitchell, who at the time of the bout was a highly touted undefeated prospect was able to score two knockdowns of Witherspoon in the third round en route to a stoppage victory. Following this setback Witherspoon took a layoff of over a year before returning in July of last year scoring an eight round stoppage of Tyyab Beale. Witherspoon would continue his comeback in January of this year scoring a second round knockout over Cory Phelps. In his last fight in April of this year Witherspoon faced an awkward opponent in the form of seventy-three fight veteran Galen Brown. Witherspoon appeared to have some difficulty landing consistently on Brown early on due to Brown’s awkwardness. Witherspoon however, was able to gradually wear Brown down scoring knockdowns in the fourth and fifth rounds before the fight was stopped in the fifth round. Now with three knockout wins in three fights since the loss to Mitchell Witherspoon looks to continue his comeback on Saturday night when he faces prospect Nicholas Guivas at The Playground in Atlantic City, New Jersey. Guivas, who will enter the fight with a record of 11-2-2, with 9 Knockouts comes into the fight with a four fight winning streak of his own winning all four bouts by knockout. The story of this fight in my eyes is whether or not Chazz Witherspoon can continue to build momentum on his comeback and if he is successful in this fight whether or not it could lead to a bout against someone who is rated in the top fifteen or top ten in one of the sport’s respective sanctioning organizations. For the thirty-three year old Witherspoon this is a fight where a loss one might argue could put his career as a future contender in question. A victory however, would likely put him in the discussion for a fight against a contender in hopes of eventually getting opportunity to face the winner of the upcoming unified IBF/WBA/WBO/IBO Heavyweight championship fight between Wladimir Klitschko and Tyson Fury or a fight that could lead to an opportunity to face undefeated WBC world champion Deontay Wilder. This fight represents the biggest opportunity thus far in the career of Nicholas Guivas and should he pull off what would likely be considered an upset in this fight it could established him as a rising contender. Whether or not Guivas will be able to provide a test for Witherspoon remains to be seen. If Witherspoon manages to look impressive in this fight and can reestablish himself as a contender in the Heavyweight division his storyline of a fighter looking to get back in the mix could be one that will continue to generate buzz. It will be interesting to see what will happen in this chapter in the comeback of Chazz Witherspoon. For more information about Witherspoon vs. Guivas please visit: The Playground Atlantic City at http://www.playgroundpierac.com/events/event.php?id=223 or GFL Entertainment at http://www.gfl.tv/event/Fight/Boxing/Championship-Boxing-at-the-Playground/2943.